We are counted among one of the leading manufacturer and trader of a wide array of Writing Boards. These are manufactured under the valuable guidance of our quality analyzers, using high grade raw material. Highly appreciated for smooth writing, enhanced visibility and crack resistance; these are widely used in schools, offices and tuition centers. The range we offer comprises Non-Magnetic Green Chalk Board, Non-Magnetic White Board, Steel Magnetic White Board & Steel Chalk Board. We have in our store a versatile collection of Non-Magnetic Green Chalk Boards, which is manufactured using supreme quality raw material. The products offered by us come with high pressure extra melamine coated surface, which increases their life. Also, these have negligible reflection that helps in viewing the board from a wide angle range and even from the last row of the classroom clearly. All our products are developed in a clean and dust-free environment employing hi-tech machines. Patrons can avail a variety of Stationery and Paper Products under this assortment in various specifications at nominal prices. 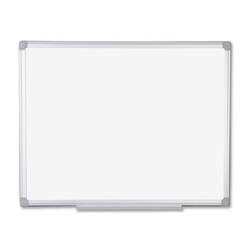 We are engaged in offering our clients with an extensive assortment of Non-Magnetic White Boards. These products are manufactured using high pressure laminates that are procured from the most trusted and reliable vendors of the market. On our smooth and clear surfaced boards, regular marker pens can be used for writing as the ink on the surface dries instantly and can be easily erased with a standard duster. Moreover, we customize these on the basis of the specifications detailed by the patrons at most competitive prices. 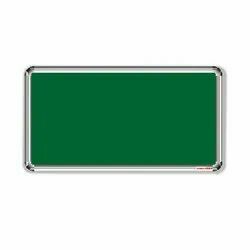 We are providing a fine quality Ceramic Steel Magnetic Green Chalk Board to our valuable customers. These ceramic steel magnetic green chalk board are made of high grade raw material. These are scratch resistant & improved erase ability, in short these boards are everlasting. 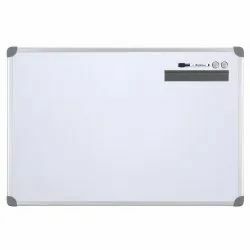 We provide our customers an excellent quality range of Ceramic Steel White Magnetic Writing Board. 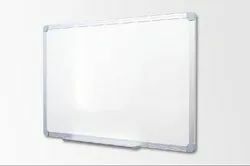 This is the most cost effective business quality dry erase marker board, made of white acrylic resin coated sheet, MDF-medium density fiber and GI sheet. Our white magnetic writing boards are made from excellent quality raw materials. Looking for Writing Board ?